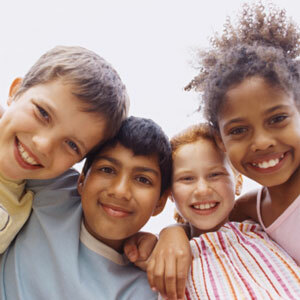 Chiropractic care for children offers your family a solid foundation for wellness. Throughout pregnancy, birth, and childhood, the chiropractic lifestyle offers choices and benefits for your family’s greater health and well-being. The causes of many newborn and childhood health concerns can often be traced to nerve irritation due to spinal misalignment. Since significant spinal trauma can occur at, or prior to birth, many parents elect to have their baby’s spine checked right after birth. Many parents report back that after receiving regular Chiropractic adjustments, there is a marked improvement in their children’s quality of life, such as with their immune, digestive and respiratory systems. It promotes healthy and regular spine development. It diminishes the long term effects of childhood falls and tumbles, reducing the possibility of adulthood problems. It improves and supports the nervous system function which allows for the optimal level of health. If you have any questions or concerns, please feel free to call Whole Body Health at (519) 753-9596.